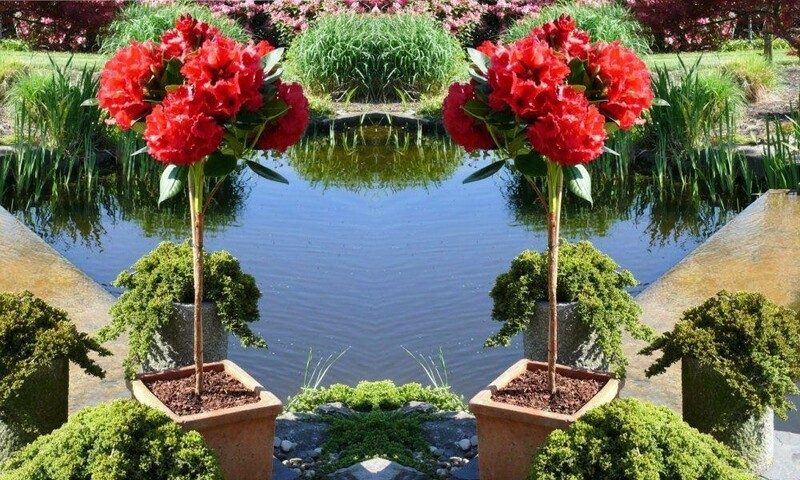 These gorgeous Rhododendron Trees have a nice neat shape, forming a columar small tree with a clear stem and beautiful head of foliage, that smothers itself in buds that burst in to flower reliably each Spring in to early Summer. Instantly recognised for their huge clusters of flowers, these rhododendrons will make an impact in any garden, in patio planters or positioned on a balcony. Rarely seen in tree form like this, they are ideal for a container, which brings the benefit of allowing movement around the garden to enjoy in different positions. They would make a real statement situated either side of a pathway or entrance to your home when fully grown in full bloom. This Red Jack variety is famed for its vibrancy and flower power. Delivered ready to burst in to growth and start blooming at any time, these trees are all set to tantalise the lucky new owner with a long-lasting display of opulent colour and beauty for years to come. 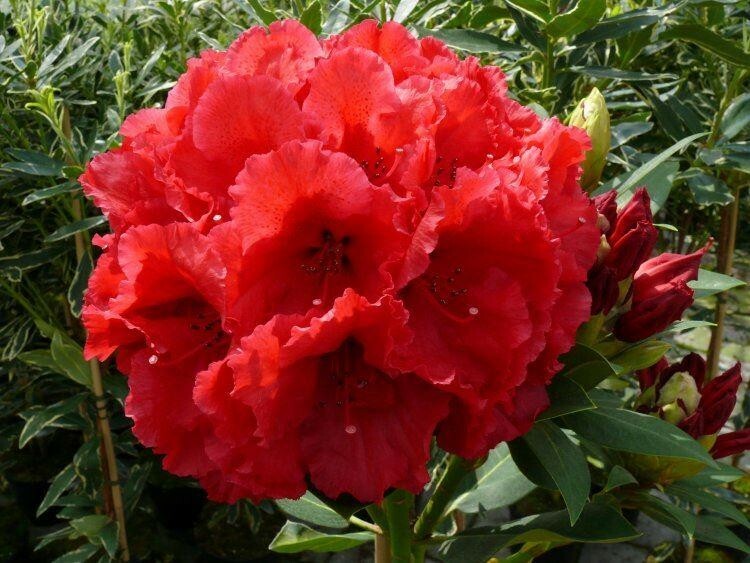 Rhododendron are always very popular, are easy to care for and long flowering. They'll thrive outdoors all year round. 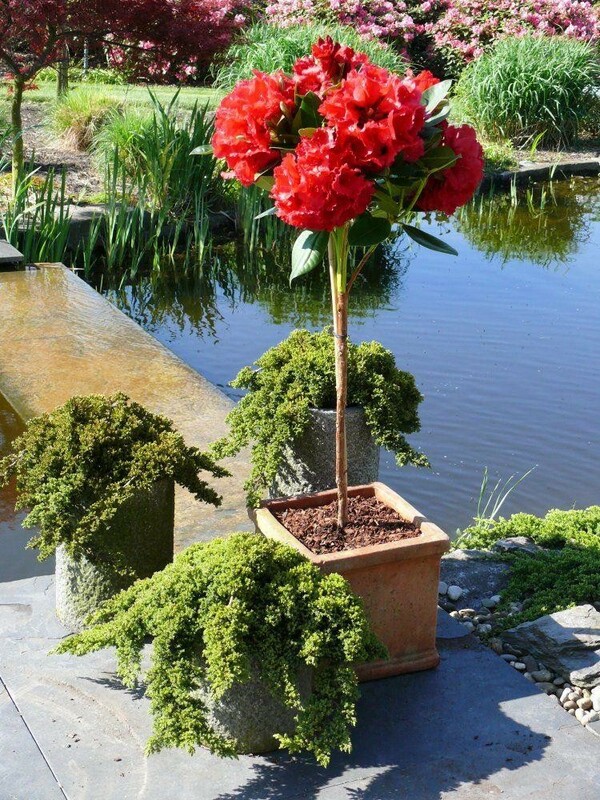 This Rhododedron tree is supplied with an overall height of approx 100-120cms, they're superb quality, covered in buds and poised to burst in to growth. Full care instructions are also provided with your trees.